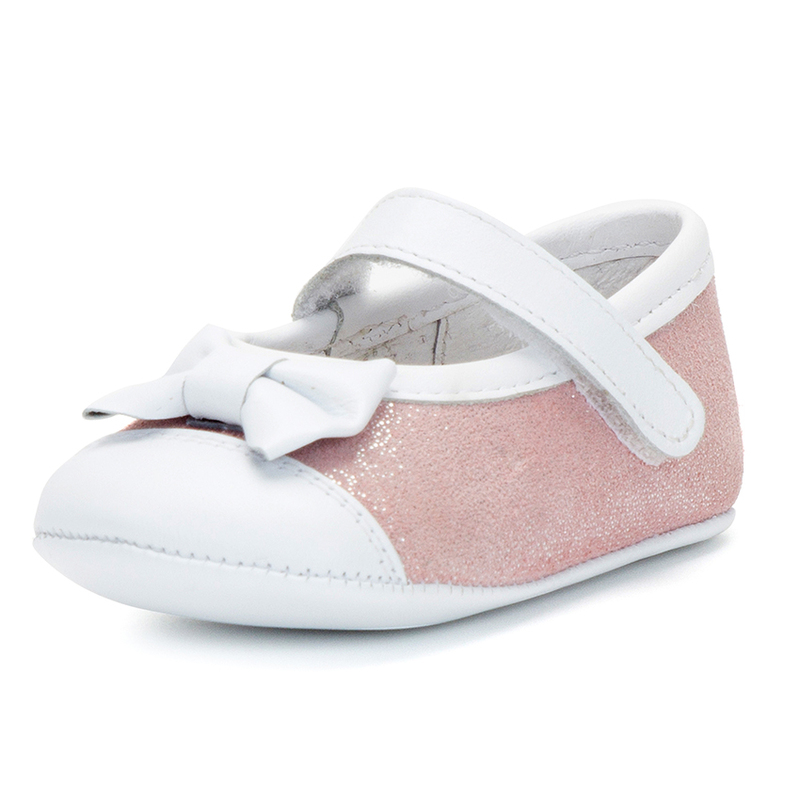 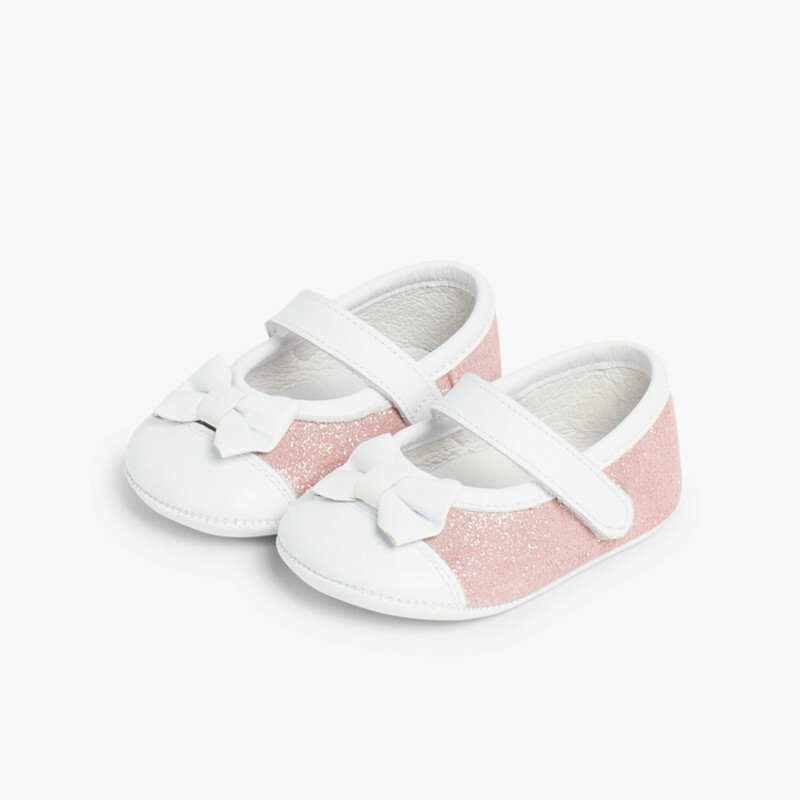 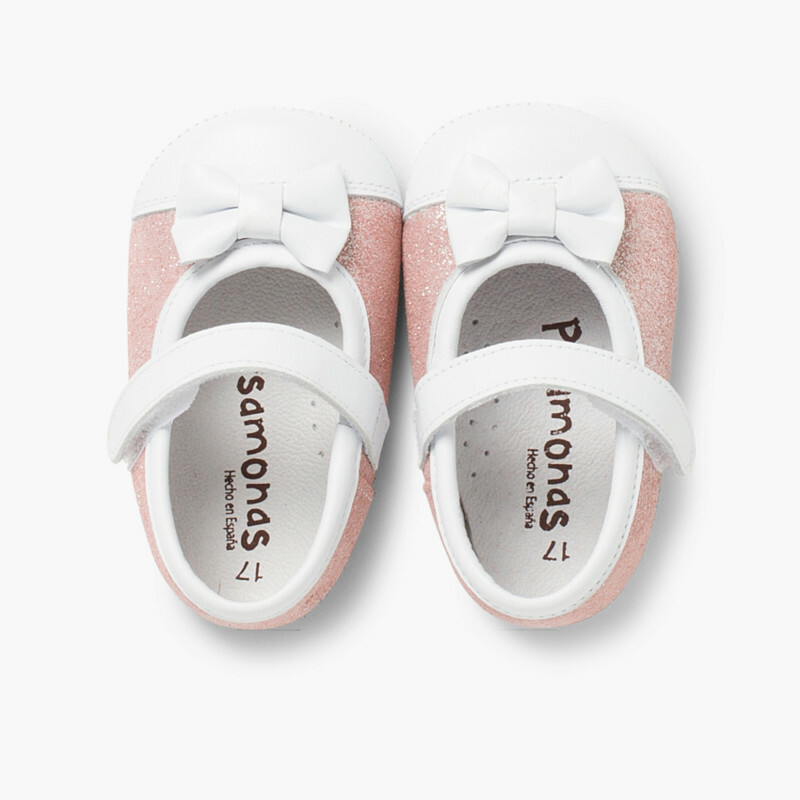 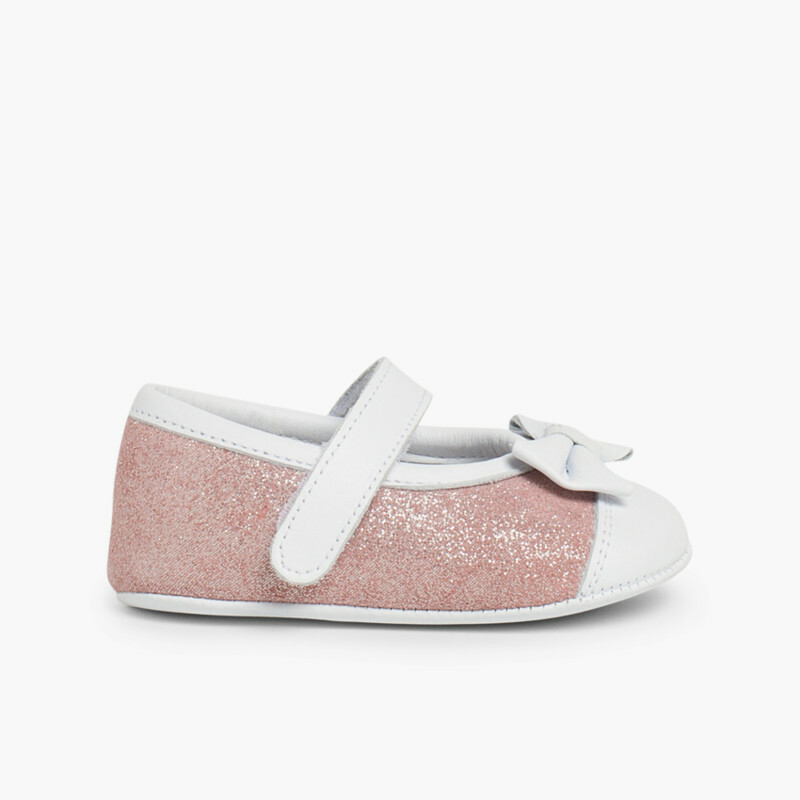 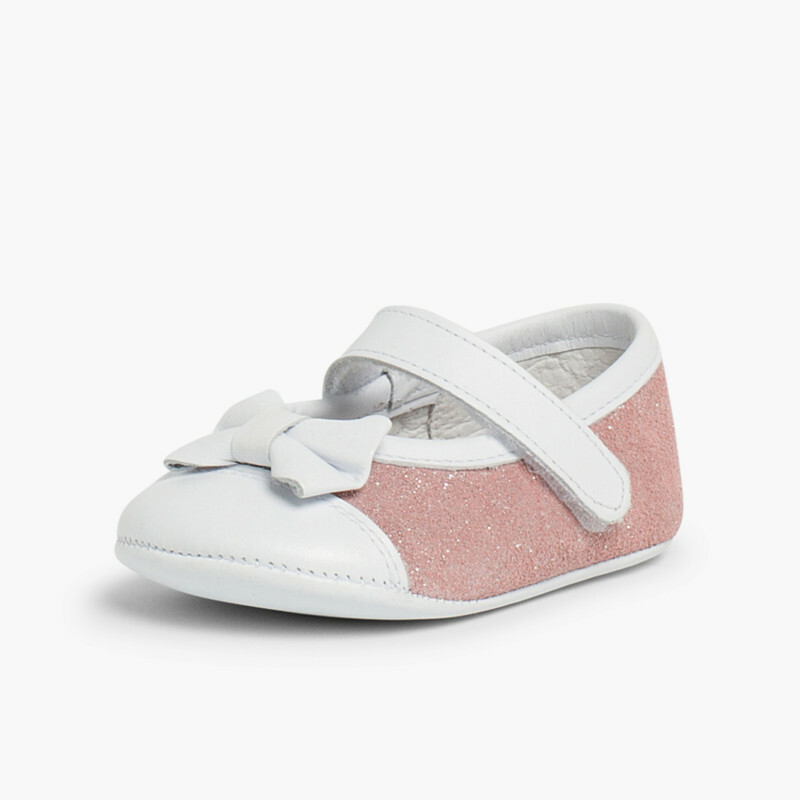 We would like to introduce our baby mary janes, ideal for making sure your little girl looks smart and pretty. 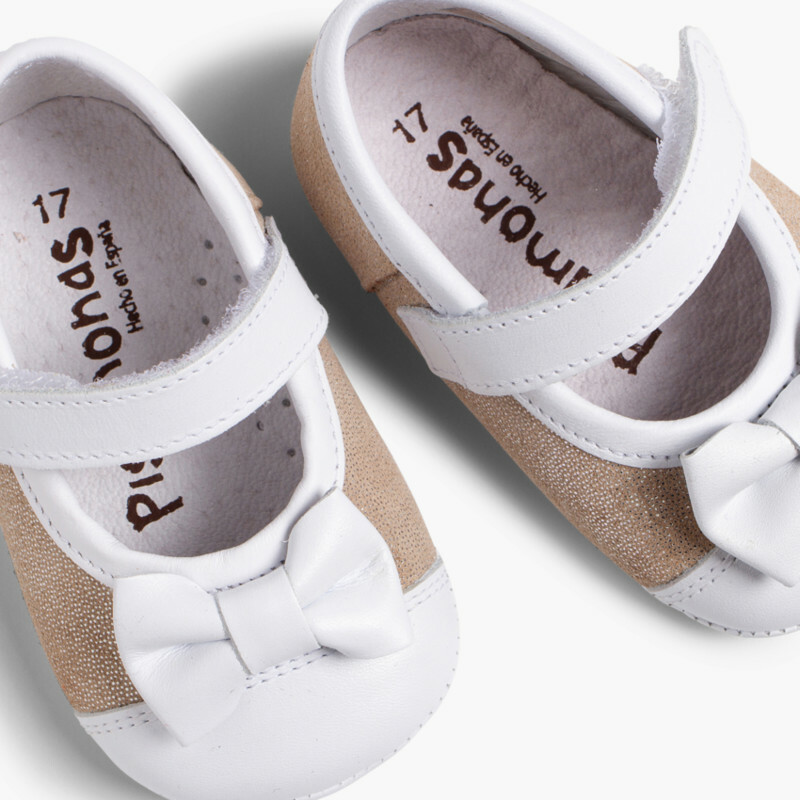 These French-style leather shoes are available in 3 shiny colours: grey, beige and pink, with the edges, stitching, bow, strap and sole in white. 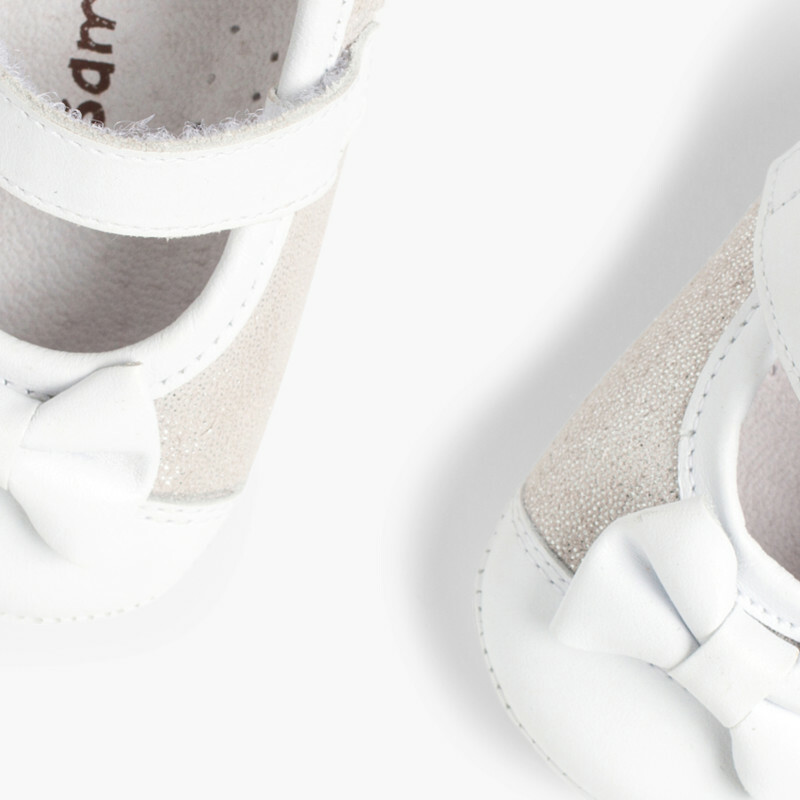 Made in nappa and leather, this contrast of two colours gives this model of baby mary janes an adorable touch that you'll just love. 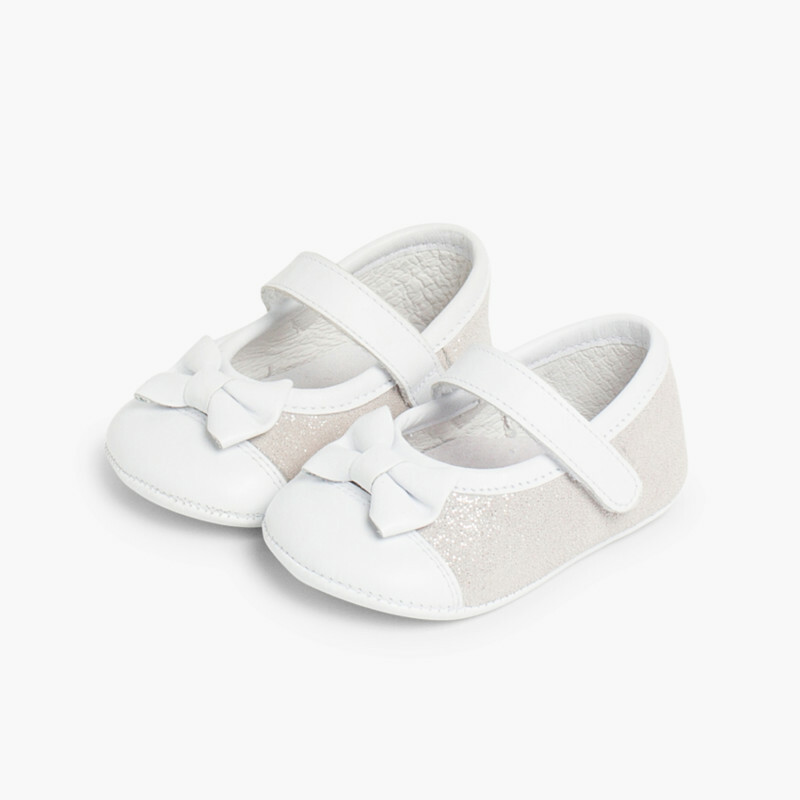 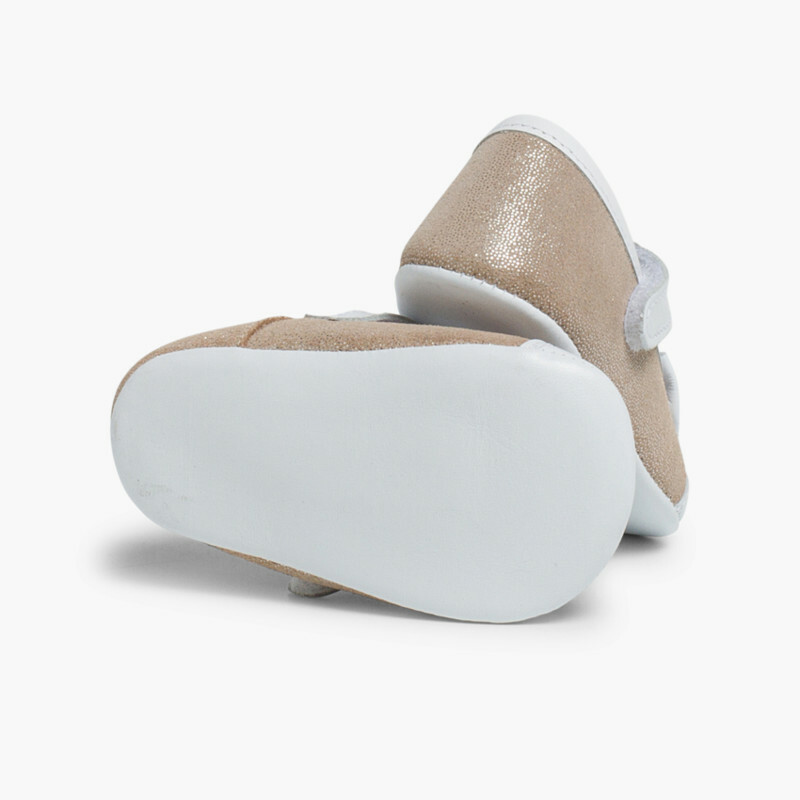 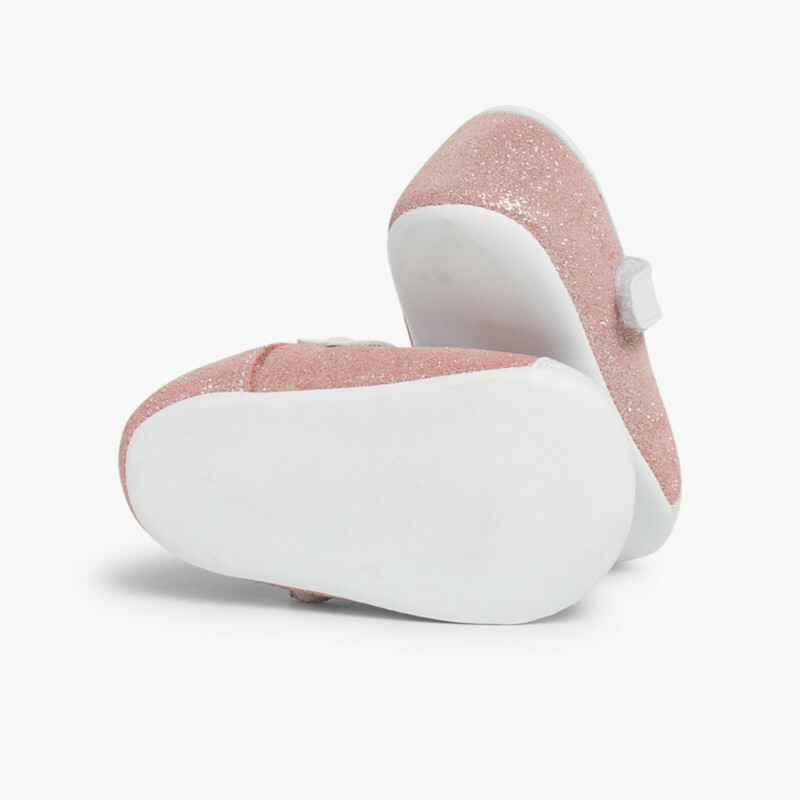 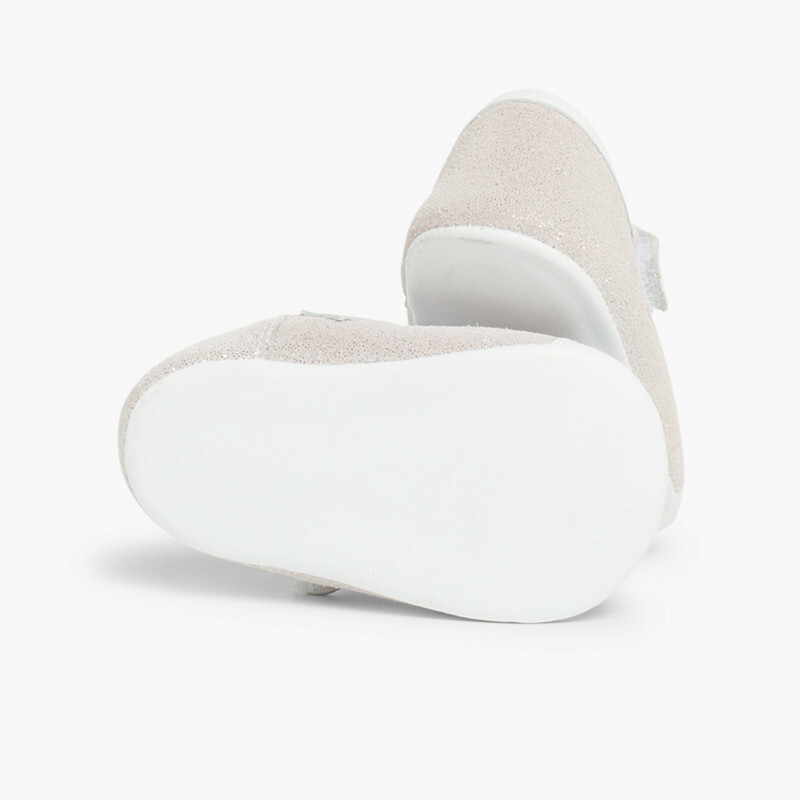 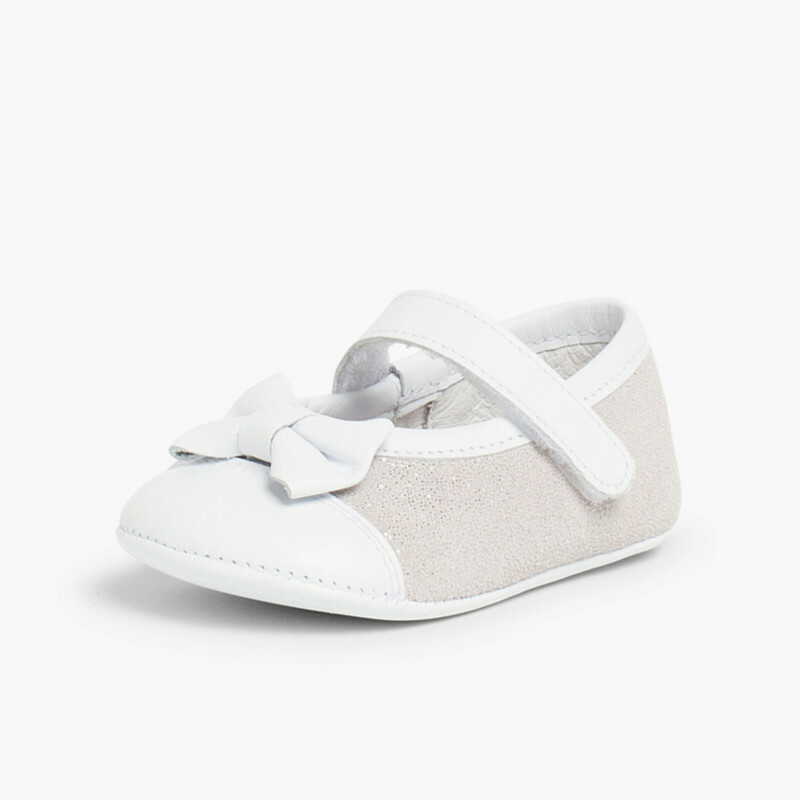 The shoes come with a velcro fastening, ensuring a perfect fit for baby's little feet. 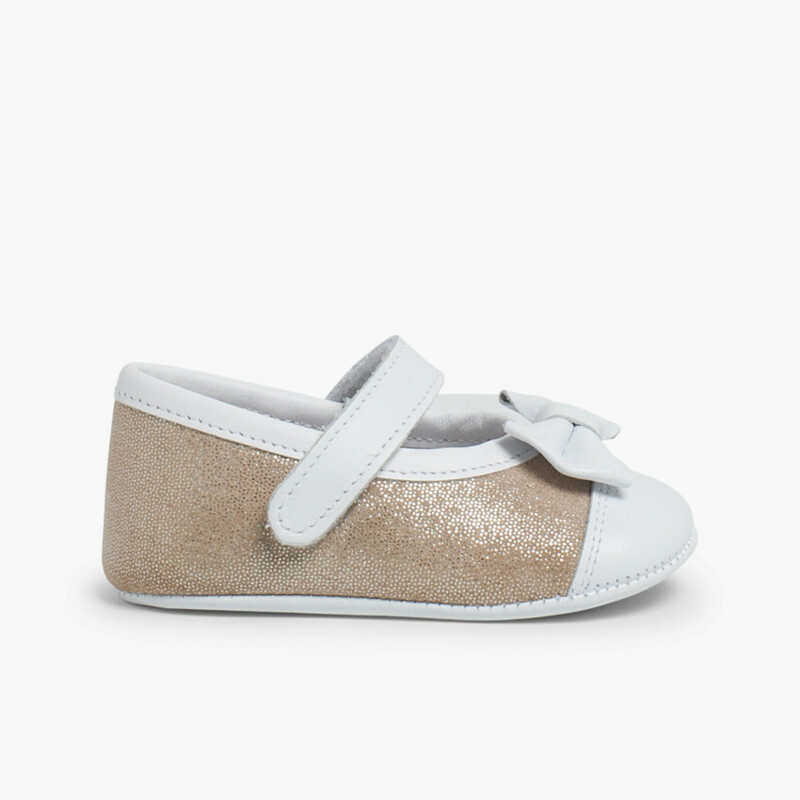 Available in sizes 0,5 child up to 3 child. 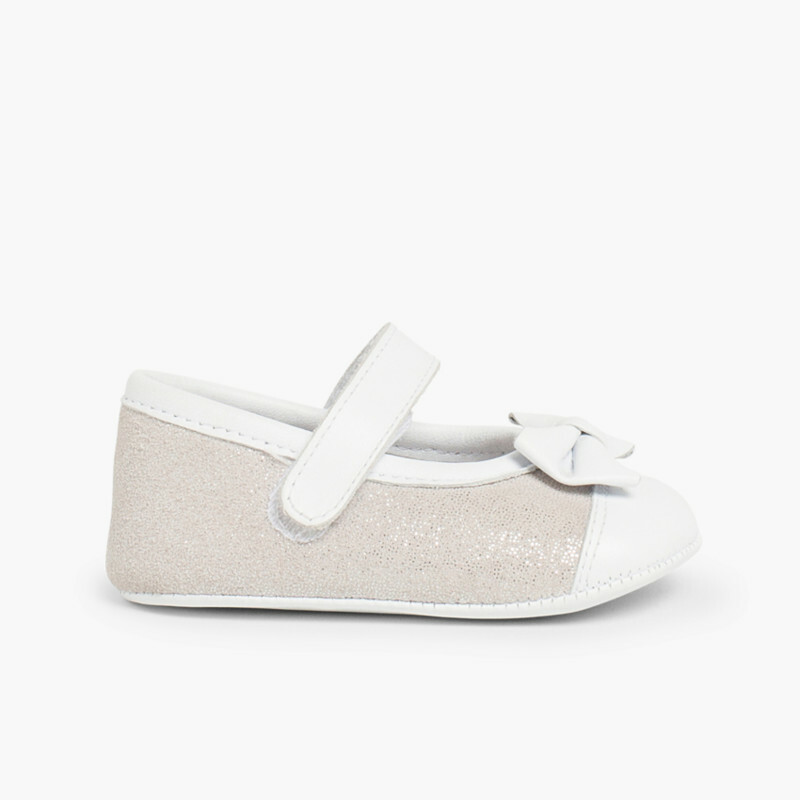 Mary janes that are perfect for those special occasions when you want your little princess to look smart. 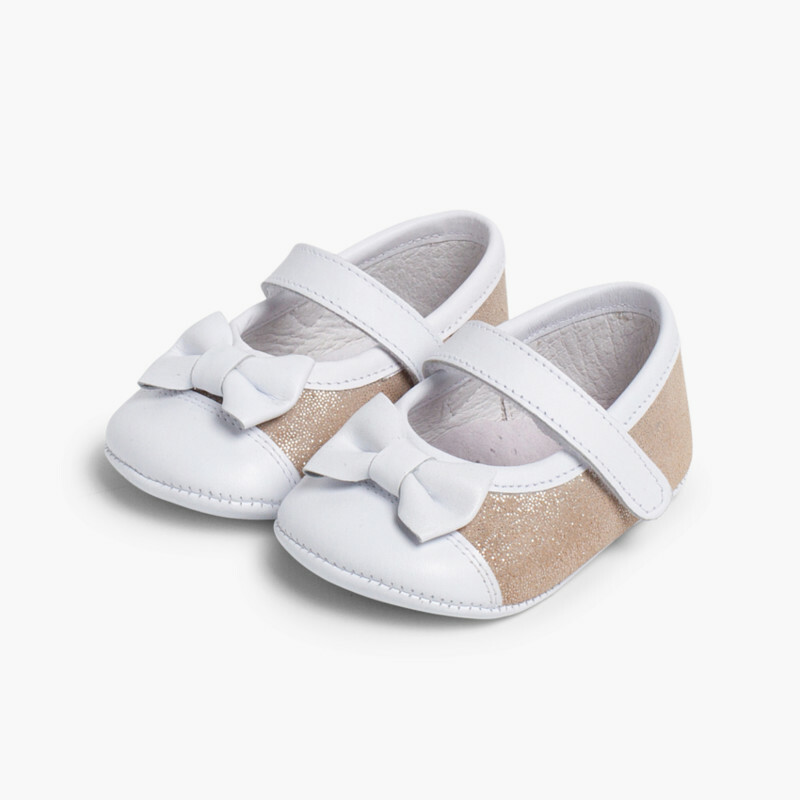 Pre-walking shoes that will become a must-have to complement all her special outfits. 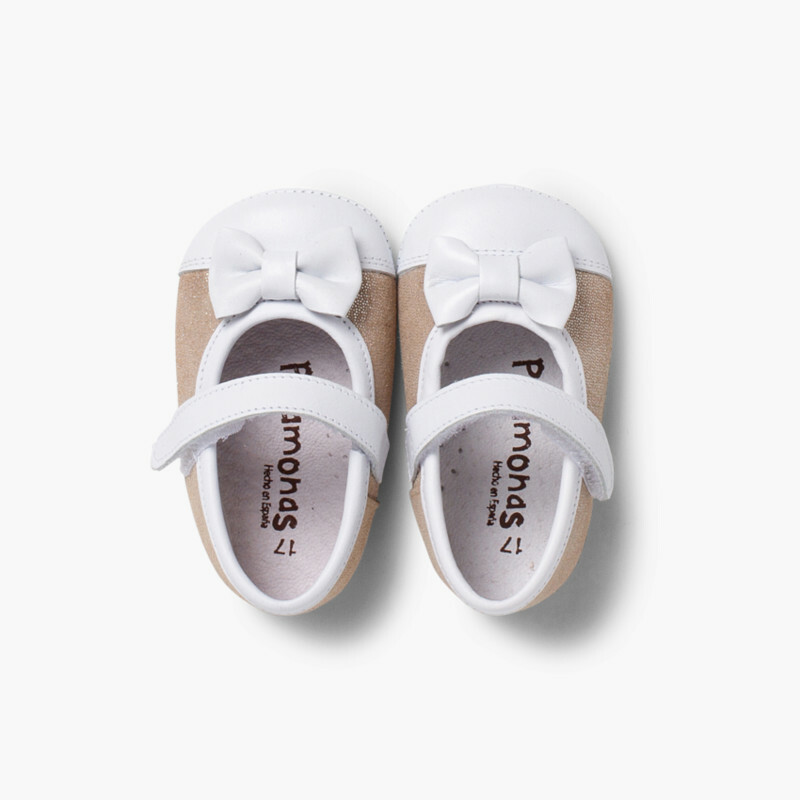 Remember that in Pisamonas delivery and returns are always free, so if they don't fit your baby, you can change them at no extra charge!